Should you share an aged parent’s story? 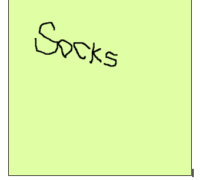 The scrap of paper says Socks. It’s barely legible but my mother is delighted she’s succeeded in capturing a transient thought. A triumph, after a major debilitating stroke and a vast improvement on early attempts which neither of us could decipher. I admired her tenacity in painfully, painstakingly learning to write again, but I wonder what she ‘d have thought about me sharing the story? A perfectionist, I suspect she’d hate me sharing her feeble, embarrassing (as she’d see it) script – which is why “socks” is in my own left-handed writing. Do I have the right to share such stories about my parents, particularly now they’re no longer alive?